Perpetually Taken Aback Person: CAPTURED! Hey bro, look - Those humans have left their cellphones here. 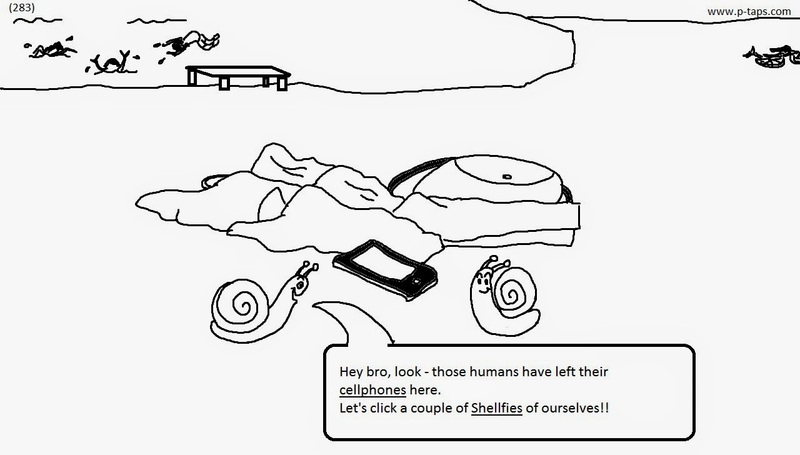 Let's click a couple of Shellfies of ourselves! !